2022. It doesn’t seem like a big year. However, it is. Yesterday, Baseball America released a projection (Subscription Required) of what they think the Cubs lineup is going to look like in 2022. My friend Cory suggested that I do my own projection on what I think the Cubs could look like in just three years. In reality, that scenario is not that far away. Catcher – Willson Contreras is still signed through the 2022 season. He should still be with the Cubs unless there’s some dramatic drop off between now and then. 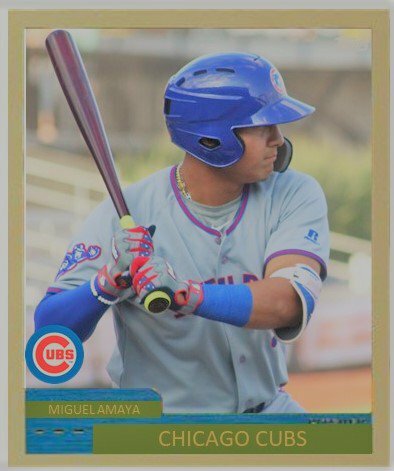 However, if Miguel Amaya puts it all together in the next couple years, he could be there before and Willson could end up at another position which might improve Mr. Contreras’ bat and sustainability. First Base– I can’t see anyone in this position other than Anthony Rizzo. He will be a free agent after 2021, but I do see the Cubs re-signing him to a short-term deal. Second Base – I only see one person playing this position and that is 2018 first round pick Nico Hoerner. Currently, he is moving quickly through the system and could be as ready as early as late this summer or early spring 2020. Shortstop – I think the Cubs can re-sign Javy Baez so that he can continue his career in Chicago. The hope is that the player we saw in 2018 is going to be the same player in 2022 at the age of 29. Third Base – Kris Bryant is going to test the free-agent market at the end of the 2021 season. Even if the Cubs do sign Bryce Harper, I just don’t see Bryant sticking with the club if he gets something that’s going to better his life and his family for generations. If the Cubs do not sign Bryce Harper this off-season, maybe the team will sign Nolan Arenado next winter and Kris would move to the outfield. Outfield – This is the most unpredictable of the everyday positions three years out. Right now, the Cubs have Jason Heyward, Ian Happ, and Albert Almora signed through 2022 and 2023. I don’t know if two or three of them are even going to be on the team when Spring Training starts this year. I can see 2018 draft picks Cole Roederer and Brennen Davis pushing for two of the spots by then. Hopefully, Harper will be in the other spot. Kyle Schwarber could be around as well. My crystal ball is little foggy here. Starting Pitching – Yu Darvish is the only Cubs starting pitcher signed through 2022, although he can opt out after 2019. Considering the depth of starting pitching they now have in the majors and minors, the Cubs are going to try and draw from that as much as possible. I would love to see Kyle Hendricks re-signed but even that will be somewhat costly. 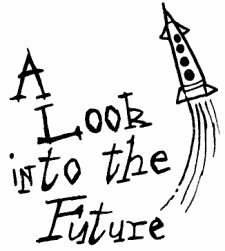 Then again, Adbert Alzolay could be penciled in as soon as 2020 and lefty Brailyn Marquez could arrive in a couple more years. Mike Montgomery could be an arm as could the Cubs number one international free-agent signing last year, Richard Gallardo, who is polished beyond his years. Justin Steele is a thought along with Trevor Clifton, Alec Mills, Duncan Robinson, Matt Swarmer, Cory Abbott,….OK I need to stop as I could list ten more possibilities. It was hard to project what the Cubs will look like in three years, but they will look a lot different, especially when it comes to pitching. The Cubs have shown a propensity to go out and purchase arms rather than wait for them to be developed. It’s a proven strategy considering you’re buying known quantities. But it’s also an expensive one that is curtailing their offseason efforts this year. The Cubs still have three more drafts in which to sign more young talent, hopefully position players who could have an impact at the major league level. Considering the Cubs don’t have much money budgeted for the roster in 2022, they can spend as much or as as little as they want to build up that roster. Right now, they have $62 million allocated for that season and 2/3 of that is Heyward and Darvish. They have a lot of money and time to budget that out.